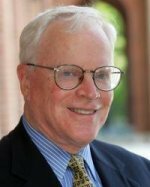 James Guthrie is a professor of public policy and education, chair of the Leadership, Policy, and Organizations department, and director of the Peabody Center for Education Policy at Peabody College of Vanderbilt University. He instructs both undergraduate and graduate courses, and conducts research on education policy and finance. He is founder and chairman of the board of Management Analysis & Planning, Inc. (MAP), a private sector management consulting firm specializing in public finance and litigation support. MAP offices are located in Davis, California. Previously a professor at the University of California, Berkeley, for 27 years, he holds a B.A., M.A., and Ph.D. from Stanford University, and undertook postdoctoral study in public finance at Harvard. He also was a postdoctoral fellow at Oxford Brookes College, Oxford, England, and the Irving R. Melbo Visiting Professor at the University of Southern California. Professor Guthrie has been a consultant to the governments of Armenia, Australia, Chile, Guyana, Hong Kong, Pakistan, Romania, and South Africa, and has had extensive experience in consulting for The World Bank, UNESCO, and the Organization of American States. He is the author or co-author of ten books, and more than 200 professional and scholarly articles. He is past president of the American Education Finance Association, served as editor-in-chief of the Encyclopedia of American Education, published in 2002, and is series editor of the ten-volume Peabody Education Leadership Series. He is principal investigator for the National Center on Performance Incentives at Vanderbilt University, a federally funded research center concentrating on educator performance incentives.